Break out for battle with Hal's Construct Copter! Copter splits into 12 weapons! Blaster, Sword x2, Bow, Missile x 2, Claw, Cannon, Jet Engine, Hammer, Saw and Shield. 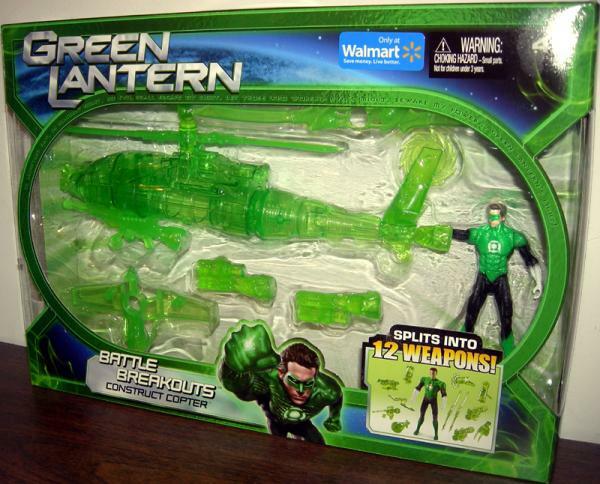 Includes an exclusive Hal Jordan figure.